Morgan Freeman accepts the Life Achievement Award at the 24th annual Screen Actors Guild Awards at the Shrine Auditorium & Expo Hall on Sunday, Jan. 21, 2018, in Los Angeles. 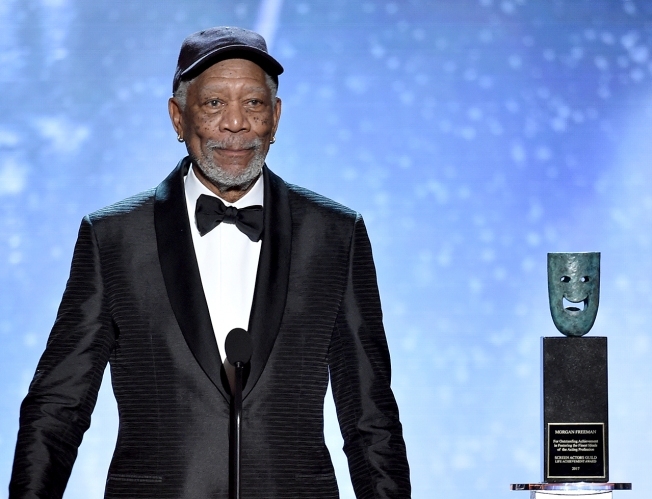 Academy Award-winning actor Morgan Freeman became the 54th recipient of the Screen Actors Guild Life Achievement Award Sunday, honoring not just his career on film but his humanitarian accomplishments. Rita Moreno, who has known Freeman since the two appeared together on the educational television program "The Electric Company," presented the award, calling him a "national treasure" who is "still devoted to programs that educate," by donating to educational programs and disaster relief efforts. "These moments in your life usually call for an entire litany of thank yous," Freeman said. "I can't do that, because I don't know all of your names, so I won't try. I do, however, want to thank SAG-AFTRA for this enormous honor. And a little shoutout to my brood, all of whom came here from the Southeast coast, South Carolina, Georgia, my kids and their cohorts. And a few other people, my business partner, my life partner, Rita, and all of you. This is beyond honor. This is a place in history." The award is the SAG-AFTRA performers union's highest tribute, given annually to an actor who fosters the "finest ideals of the acting profession." "Some actors spend their entire careers waiting for the perfect role. 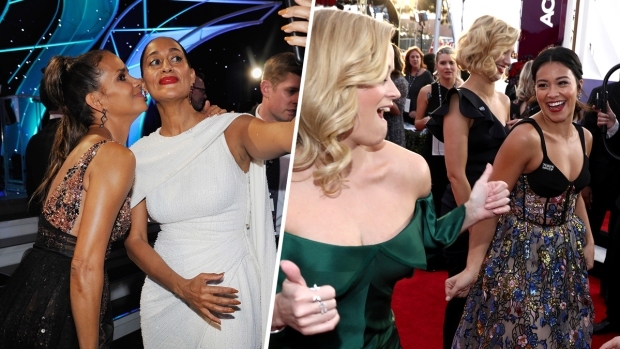 Morgan showed us that true perfection is what a performer brings to the part,'' said SAG-AFTRA President Gabrielle Carteris. "He is innovative, fearless and completely unbound by expectations. As a chauffeur, convicted murderer, boxing gym attendant, pimp or president, Morgan fully realized every character baring their souls and showcasing their humanity. It has been a privilege to see his genius at work." Freeman, 80, received a best supporting actor Oscar for his performance in "Million Dollar Baby," a role that also garnered him a SAG Award. His other film credits include "Unforgiven," "The Shawshank Redemption," "Glory," and "Invictus," in which he portrayed South African anti-apartheid activist and former president Nelson Mandela. Speaking to reporters backstage, Freeman said his career is by no means over. "The inference (behind a lifetime achievement award) might be, get off the stage you're done," Freeman said. "My hope is that that's not the case, that they're saying congratulations so far." "... The little horn-tooting I can do for myself is merely having the courage to keep going," the actor said. He said he likes to encourage younger actors, and his best advice is, "Don't give up. I tell kids the surest way to lose is to just give up." But there are "so many ... scrambling to get through that first door" that would-be actors also need "a lot of luck." Freeman said he first realized the power of performance when he was a young boy. "When I was 8 years old, I played Little Boy Blue in a pageant," Freeman said. "Power was one of the things I was aware of." By 12 years old, he had no question that he would be an actor.